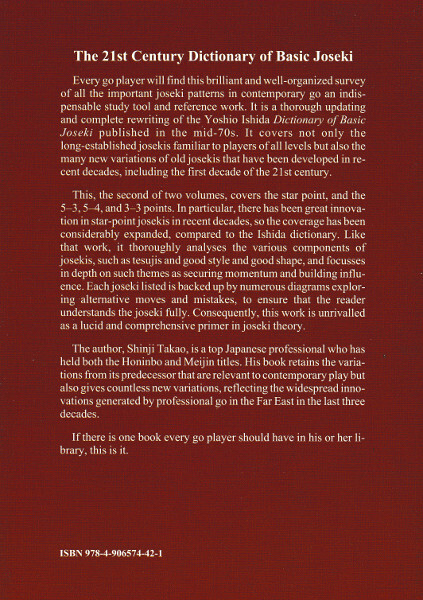 Every go player will find this brilliant and well-organized survey of all the important joseki patterns in contemporary go an indispensable study tool and reference work. 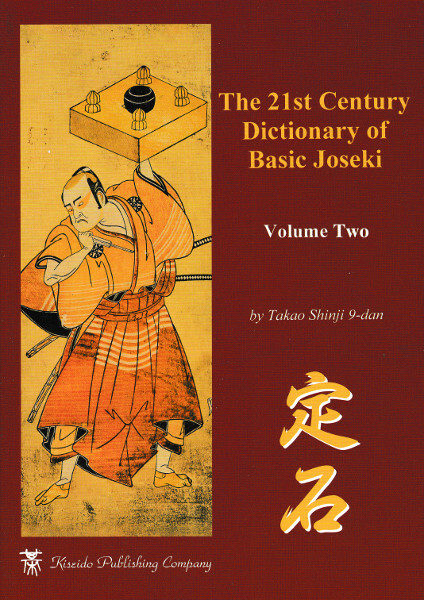 It is a thorough updating and complete rewriting of the Yoshio Ishida Dictionary of Basic Joseki published in the mid-70s. It covers not only the long-established josekis familiar to players of all levels but also the many new variations of old josekis that have been developed in recent decades, including the first decade of the 21st century. The first volume covers all the 3-4 point josekis, including long sections on the avalanche joseki and the Magic Sword. 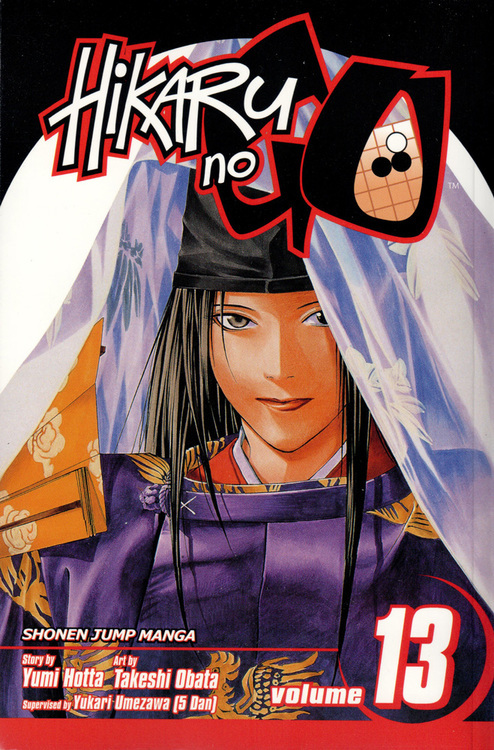 The second volume covers the star point, and the 5-3, 5-4, and 3-3 points. In particular, there has been great innovation in star-point josekis in recent decades, so the coverage has been considerably expanded, compared to the Ishida dictionary. 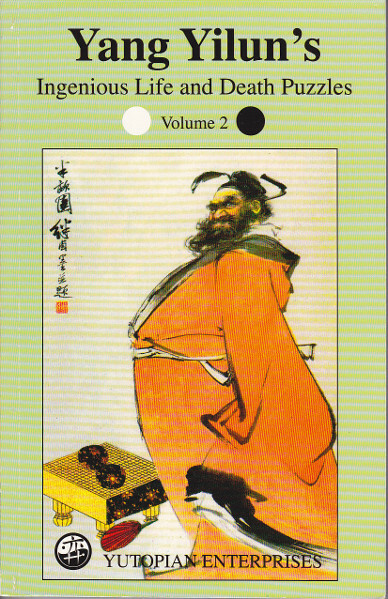 Like the Ishida work, it thoroughly analyses the various components of josekis, such as tesujis and good style and good shape, and focusses in depth on such themes as securing momentum and building influence. Each joseki listed is backed up by numerous diagrams exploring alternative moves and mistakes, to ensure that the reader understands the joseki fully. 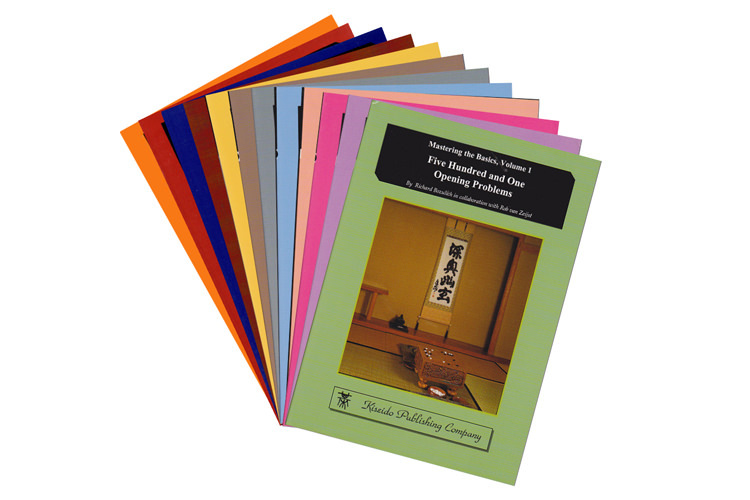 Consequently, this work is unrivalled as a lucid and comprehensive primer in joseki theory.